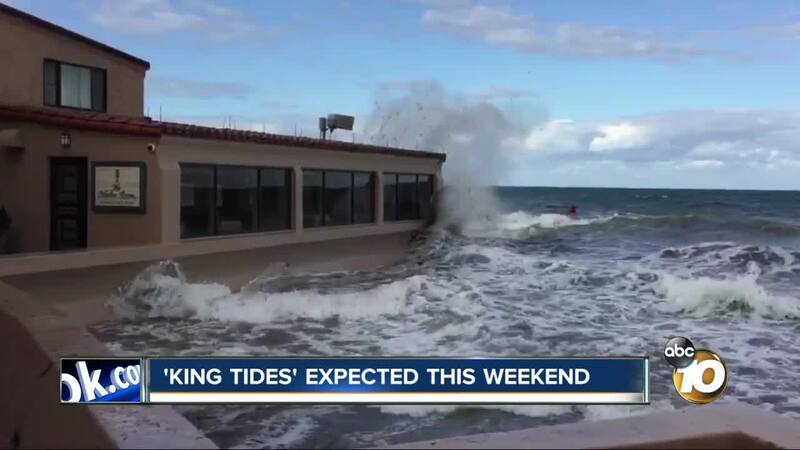 SAN DIEGO (KGTV) — Low-lying parts of San Diego are dealing with the possibility of more coastal flooding Saturday and Sunday morning because of "King Tides." The high tide event is expected to occur the mornings of December 22 and 23, according to tidal charts. King tides occur when there is an alignment of the gravitational pull of the sun and the moon. Some parts of Imperial Beach already experienced tidal flooding Friday morning as several homeowners reported water entered their homes. The City of San Diego built a three-foot temporary berm along parts of the bay in Mission Beach to help mitigate the risk of coastal flooding. Residents can also check the likelihood of flooding in their area, via FEMA's flood map, here . King tides are also forecasted for January 20 and 21.